Help desk support, most commonly, is a way of providing IT support to end-users (customers). For Linux server management companies, help desk support often involves resolving issues related to a customer’s Linux server or a service running on that Linux server. 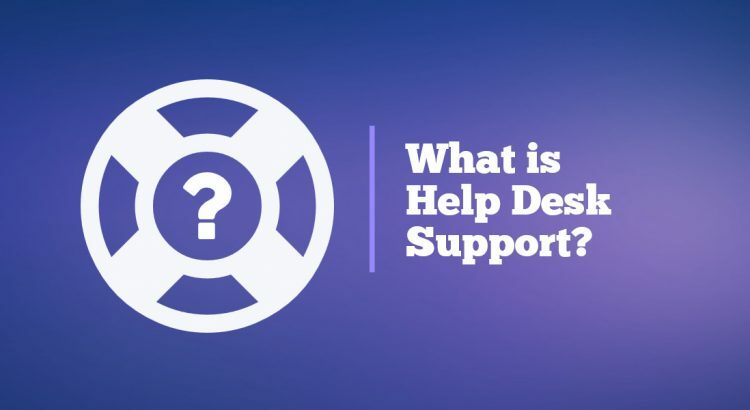 To help you understand what help desk support is, we’ll answer a few frequently asked questions related to help desk support. How is help desk support implemented? Depends on a particular business or service provider, but most often than not, help desk support is implemented via a “client area” where clients and customers can post tickets and request technical (help desk) support from the provider. Help desk support can also be provided via phone or in person, but the most common way of implementing helpdesk support, especially in IT, is via email (tickets) and online live chat. Do I really need help desk support? Yes! Even if you are experienced in the software/service you’re using, it’s still nice to have someone to fall back on when you get stuck. A professional technical support team can always come in handy when you’re running into issues you cannot solve. If you’re new to the software/service you are using, then you definitely need help desk support. How do I check if someone offers help desk support? Most (if not all) companies with commercial software or commercial services offer 24/7 technical (helpdesk) support. You can always check their website for any support/helpdesk/client/contact areas. Some companies offer professional (outsourced) help desk support on a per-incident basis. You can use those kinds of services if you use a service or an app that doesn’t have official technical support, or if they have an incompetent technical support team. Example: we offer Linux server management services and Linux server support. If you own a Linux server and need help with it, you can use our support services and we’ll help you with your Linux server, regardless of where you’ve purchased the Linux server from. What are the benefits of using helpdesk support? Support by professionals. Every helpdesk support team is experienced and trained in what they are offering support for, so you know you’ll always get professional help from people that know what they are doing. Help when you need it. Most companies offer 24/7 support. However, some companies don’t offer 24/7 support and their wait times can be quite lengthy, so always choose providers that offer 24/7 support. If they don’t and you still decide to use them, you can always use outsourced support or get support by a third-party. Saves you money. By using the company’s (or an outsourced) helpdesk support, you take away the need of having a dedicated technical support team for your company only. Finding the right employees and training them for the products/services you are using can be both costly and difficult to do. Knowing all of that, it should be clear what help desk support is and other basics you need to know about help desk support. If you want to learn, what server management is, read this.